In mountain and winter sports, the risk of avalanches should not be underestimated. That's why you should carry high-quality avalanche equipment whenever you travel through wintry mountains. The chances of survival sink dramatically within the first few minutes of an avalanche. Avalanche equipment allows quick and effective action in emergencies. 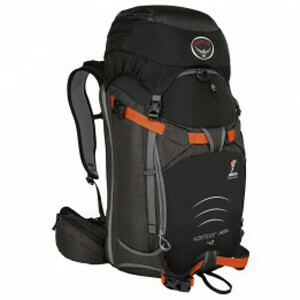 Combined with an avalanche backpack, avalanche equipment offers the best chance of overcoming an emergency. What does avalanche equipment consist of? Avalanche equipment generally consists of three components: An avalanche transceiver (or beacon), an avalanche probe, and an avalanche shovel. The transceiver makes it possible to locate the buried person. In transmission mode, it sends a standardized frequency at short intervals. A separate transceiver in reception mode can trace this signal. Avalanche probes are a component that precisely locates avalanche victims. The probe is inserted into the snow to pinpoint the exact location and depth of the buried person. An avalanche shovel makes it possible to excavate the buried person from the snow. A stable shovel blade and a sturdy shaft allow you to dig through densely-packed snow. In emergencies, avalanche equipment is a lifesaver. Every minute counts when you're recovering buried persons! In any case, an avalanche rescue kit belongs in every mountain sports enthusiast's baggage!